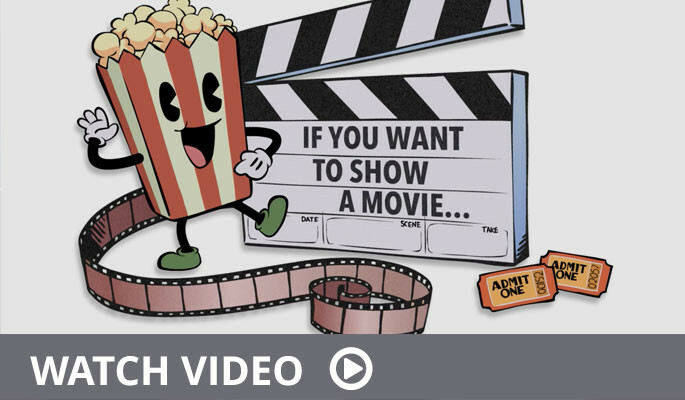 Whether in a reception area or a treatment room, movies and other audio visual programs are commonplace in dental practices across the country. With no commercials and an ability to control the content, motion pictures are a simple and affordable way to enhance the patient experience. Often times, the sight of a beloved character or program is enough to put apprehensive patients of all ages at ease. To ensure compliance, MPLC grants the Umbrella License, which provides copyright infringement liability protection to over 500,000 locations worldwide and represents nearly 750 motion picture studios and other producers. For more information, visit our FAQ page or click apply now! Copyrighted motion pictures and other audiovisual programs that are available for rental or purchase in any legal format, such as DVDs and other digital formats, whether streamed or downloaded, are intended for personal, private use only. Viewings in facilities, such as a dental or medical office, require a license. MPLC is an independent copyright licensing service exclusively authorized by motion picture studios to grant the Umbrella License. The license allows unlimited showings of all MPLC authorized motion picture titles within licensed facilities. The Umbrella License provides the most diverse programming available from nearly 750 producers, ranging from major Hollywood and independent studios, to family friendly and foreign producers.